Three more litterbugs have been left with hefty court bills after they were caught offending in Erewash and then failed to pay fines. The trio of litter culprits follow three other offenders that were prosecuted by Erewash Borough Council in recent weeks– with the council warning that it will continue to crackdown on environmental crime. In the latest cases, heard at Southern Derbyshire Magistrates’ Court, all three had failed to pay their Fixed Penalty Notice (FPN) after neighbourhood wardens spotted them throwing their cigarette ends onto the pavement. Ryan Oakley, 24, of Paddock Close, Castle Donington. Pleaded guilty to dropping a cigarette end and leaving it on the pavement on High Street, Long Eaton. 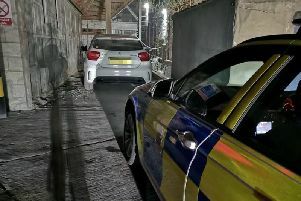 He was ordered to pay a fine of £40, with his guilty plea taken into account. He must also pay a victim surcharge of £30 and the council’s full costs of £127.50 – a total bill of £197.50. Councillor Garry Hickton, Erewash Borough Council’s lead member for environment, said: “Over the last few weeks we have made it absolutely clear that we will always take action against anyone caught dropping litter, failing to pick up after their dog or guilty of any environmental crime. These cases clearly illustrate that – and they also demonstrate that if offenders think they can get away with non-payment of an FPN, we will prosecute. Report littering through the council’s confidential PRIDE-line number 0115 850 8383.